– The design and statistical management of clinical trials promoted by ICM, UNICANCER or other academic sponsors, clinico-biological databases or databases by tumour location, cohort for the research of predictive and prognostic factors, or translational research (URT and IRCM). – The data management of clinical trials promoted by ICM, UNICANCER or other academic sponsors: management, data entry and data quality assurance, as well as secure data storage. 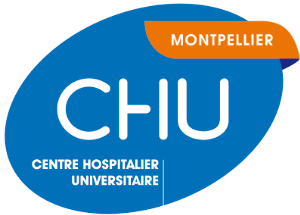 The Biometrics Unit plays a key role in the landscape of the French oncology, assisting in their research works not only investigators of the Montpelier Cancer Institute, but also numerous cancer centre partners nationwide. As a result, the Unit members were author or co-author of approximately 100 publications in the 2012-2017 period. The Biometrics Unit is equipped with dedicated software programmes for logistical support of clinical studies i) clinical trial planning (EaST, nQuery) ii) data management (ENNOV Clinical) ii) statistical analysis (Stata, SAS and R). All computer systems are secure, and designed to meet the applicable regulatory requirements for data protection. Widely recognized at the national level, the Unit has been labelled “Data Treatment Centre” by the INCa since 2007. In addition, it became in 2011 the unique French Data Centre in charge of all the studies sponsored by the UNICANCER R&D group. This major panership was renewed in 2017 for six additional years. Finally, the ICM biometric research units achieved the ISO 9001 v2015 certification in 2017. The CEPS platform (www.CEPSplatform.eu) is a European academic hub of methodology experts in clinical non-pharmacological research whose mission is to foster the monitoring, design, implementation and publication of interventional studies dedicated to the assessment of Non Pharmacological Interventions (NPIs) efficacy. Expertise: Oncologists, as well academic medical societies, increasingly recommend the use of NPIs to complete cancer treatments, reduce comorbidities and help to cope to psychosocial difficulties and prevent recurrence. NPIs are also called complex interventions, supportive care, or complementary care. These health solutions can be (1) psychological interventions such as Mindfulness Based Stress Reduction or hypnosis programme, (2) physical interventions such as endurance training programme or specific massage, (3) nutritional interventions such as food supplement or diet, (4) digital interventions such as e-cigarette connected to a Smartphone or (5) other interventions such as essential oil. NPIs are science-based and non-invasive interventions on human health. They aim to prevent, treat, or cure health problems. They may consist in products, methods, programmes or services whose contents are known by users. They are linked to biological and/or psychological processes identified in clinical studies. They have a measurable impact on health, quality of life, behavioral and socioeconomic markers. The CEPS Platform gathers public health and supportive care researchers, trialists, economists, clinicians, patients, ethics experts. Activity: There are major difficulties in describing and identifying NPIs in the literature. Authors of NPIs trials did not mention all the details of the interventions (techniques, dose, processes, material…). Confusions and amalgams occur between approach level, category, discipline, skill and the NPI itself, which in turn leads to health authorities doubting their relevance (e.g., report of French Health Authority, 2011). The CEPS Platform is dedicated to identify NPIs, inventory publications and authors. The CEPS Platform works to identify each NPI (characteristics such as name, authors, content, population, mechanism, professional requirements, publications) with the help of new technologies, especially artificial intelligence and ontology system. The CEPS Platform is a collaborative academic platform. Since 2011, the CEPS Platform organized an international conference (iCEPS) and workshops with health professionals and patients. Resources: The CEPS Platform has a specific room at the University of Montpellier with the computer, server and specific software. The Platform received financials support from the French State, the Occitanie Region and the Montpellier Metropole (2015-2020), from the SIRIC Montpellier Cancer (2016-2017) and from INCa (2017-2019).